Starting pitchers are my favorite position in fantasy baseball. 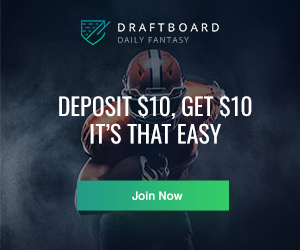 They give you a ton of draft flexibility, and help you win your leagues. If you can pick the right guys in the later rounds, then your early rounds can be used to stock up on hitting. Let’s put it this way... fantasy SPs are like kegs-- a bottomless barrel of fun, and there’s always plenty left to keep coming back for more. 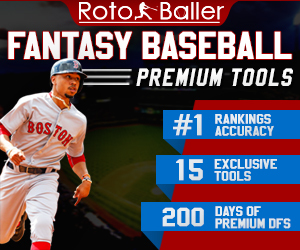 There are many SP slots on any given fantasy baseball team (compared to a single spot for most position players), and that means many opportunities to make good value picks and make a “profit”. You can often find similar production from pitchers being drafted a few rounds apart. 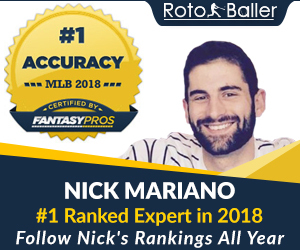 Because there are so many starting pitchers in the majors (at least 150 at any given time), there will always be more SPs available in a fantasy baseball draft (or on a waiver wire) than your league will ever use at any given time. Think of guys last year like Kris Medlen, Lance Lynn, Jeff Samardzija, Mike Minor, Marco Estrada, Mike Fiers, Ross Detwiler, A.J. Burnett... well, you get the point. Most of these guys weren’t drafted in standard leagues, but ended up making significant impacts for fantasy owners. Sprinkle in some mid-season call-ups, some roster expansions in September and some mid-season SP injures, and you find yourself swimming in a keg of SP potential. So what does this all mean? To put it simply: You don't have to feel pressured to load up on front line starters with high draft prices. You can afford to wait. As you'll see, late in drafts there are tons of high-quality stats ripe for the picking. 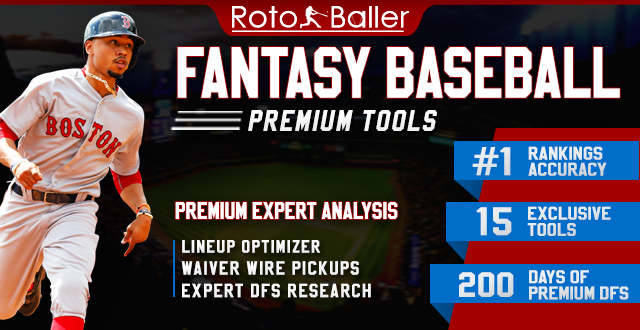 Instead, you can pile up elite hitters early in your draft, and load up on the plethora of SPs available in the middle-to-late rounds of your drafts. Think about the following pitchers drafted around or after the 15th round in 2012 (based on 2012 ADPs): Chris Sale, Chris Capuano, Hiroki Kuroda, Doug Fister, Kyle Lohse, Jake Peavy, Jason Hammel, etc. All of these guys were cheap on draft day, but brought back a big return for their fantasy owners. Tier 1 - These are the top three guys off the board basically everywhere. How much time do we really need to spend here? A lot of sites milk their top players for article upon article, but in our view, there’s not that much insight to provide. We advise you to stay away from pitchers this early. Only when 2005 Randy Johnson or 2001 Pedro Martinez were available was it sound to use your first pick on a pitcher. Tier 2 - I might end up with one of these guys if they fall to later in round 4 or round 5, which is possible in any given draft. Also, it depends which top hitters are available in those rounds. Lee, Price, Felix, Hamels and Cain will all put up #1 SP numbers and it’s really tough to see any of these guys faltering. Tier 3 - These guys are clearly a step down from the tier 1-2 guys. They are all basically #1 fantasy starting pitchers, but each has a small question mark: Bumgarner’s IP, Weaver’s K-rate, Dickey’s ability to repeat, etc. We see a wide range of ADPs in this tier, from Weaver at 55 all the way to Greinke, Halladay and Sabathia in the 90-95 range. That’s really all you need to know about who to target and avoid in this tier: Weaver scares the hell outta me for that price-- he will rack up the Ws with the Angels' lineup, but his declining K-rate will make it tough for him to return value comparable to these other guys. We like Sabathia to rebound up to 4th-5th round value. Our favorite in this tier is Greinke, provided his elbow turns out ok-- moving to NL West, land of the meager offenses, in a low-key baseball town, Greinke may just give Kershaw a run for his money as the Dodgers #1 starter. Tier 4 - Lots of variety in this tier with guys that could all be very solid #2 starters. There are some guys going very late in this tier compared to my expectations for their production. Zimmerman isn’t a big K guy, but on a great Nats team and with tidy peripherals, he could be a good bargain around the 10th round. I absolutely love Matt Moore in round 10-11, he’s gonna be BIG time very soon (read our RotoBaller analysis here). I also like Latos right around these other guys-- he put up a HUGE second half and could easily outperform his ADP. I would stay away from Darvish and Shields at their current ADPs. Overall, I would be comfortable drafting any of these guys as a #2 SP, and if the cards fell right I might try to package a risky high-upside guy like Moore with a more stable guy like Zimmerman and grab two of these guys. Tier 5 - We’re getting into the meat of the pitching here. Gallardo is a guy who is consistent but unspectacular-- if you draft a low-whip guy earlier who doesn’t have elite Ks, Gallardo could be a nice complement. He’s a fine pick in round 11-12. Lincecum and Peavy are two guys who are falling in drafts, for different reasons though-- Peavy because no one trusts him to stay healthy again, and Lincecum because no one trusts him to find his A-game again. Both are going later than the 15th round and have HUGE upside if you snag them around the 13th. You can read our detailed analysis on Lincecum here and on Peavy here. Mike Minor is also falling to the 15th, and after his ELITE second half last year that’s really not right. Be smart and pounce on this young emerging breakout earlier than your leaguemates. Tier 6 - This tier has an interesting mix of pitchers who've overachieved or underachieved, and others we're hoping take it to the next level. Apparently no one thinks Lance Lynn or A.J. Burnett can repeat their big years, but I like both of these guys around the 18th-19th round. I would stay away from Kennedy before the 11th, and would opt for some of the guys in Tier 5 with lower ADPs first. Matt Harvey and Kyle Lohse, though very different pitchers, can both provide nice value at around the 200th pick (17th round). Lester and Beckett are nice bounceback candidates and are both very cheap. Read more on Lester here. Tier 7 - Here are a lot of players with recognizable names that used to be in higher tiers, but have begun their slow decline. These pitchers still have value, but are not nearly as sure bets as they used to be. If you have inexperienced fantasy owners in your league, they’ll probably jump the gun on one of Dempster, Shawn Marcum, Hanson, etc. earlier then we recommend. Michael Fiers is a lottery ticket-- great K-rate, and doesn't walk too many batters for a player entering his age-27 season. We'll have to wait and see if he can put up solid numbers for an entire season. Chad Billingsley is also intriguing-- last season he improved his BB rate from 4.0/9 to 2.71/9 over 2011. If he continues in this trajectory, he can be a solid pickup and his ADP makes him super cheap right now. 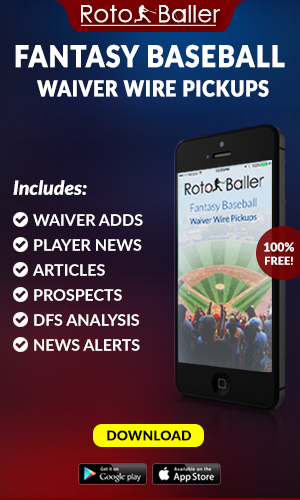 Tier 8 - All the pitchers in Tier 8 are ownable, although some may be bouncing around on the waiver wire depending on the depth of your league. Keep in mind, too, that these guys will round out the final couple of spots on your staff, and hit waivers if they don't perform in April and May. If you draft here, look to balance against your earlier picks. For example, if it weren’t for Jarrod Parker's low K-rate, he’d be ranked higher, because he certainly has a lot of upside. With a lot fo these guys, you're looking at the final 3-4 rounds of the draft, so it's a lot of "throwing mud at the wall and hoping it sticks". Chris Capuano had a resurgence last year, but with a lower than league-average BABIP, he should regress in 2013, so be cautious. This is the lowest tier where all of the pitchers are worthy of consideration for a roster spot. Some end-game guys who we recommend are McCarthy (if healthy), Straily, Hammel and Detwiler. Tier 9 - Any of these guys should be the final pitcher on your fantasy team, IF that. Most of them will see some time on the waiver wire this year. A lot of the names (Johan, Hughes, Romero) have big question marks heading in 2013. Alex Cobb is a name that many owners are probably not familiar with who could provide substantial late round value. If he can follow-up his rookie season with a full 30 - 35 starts, you may find 14 wins. Edinson Volquez still gets Ks, but he walks way too many batters. Keep on eye on first couple of starts-- if he shows good control, then he could be a nice surprise in 2013. Don’t get too attached to any of these names. 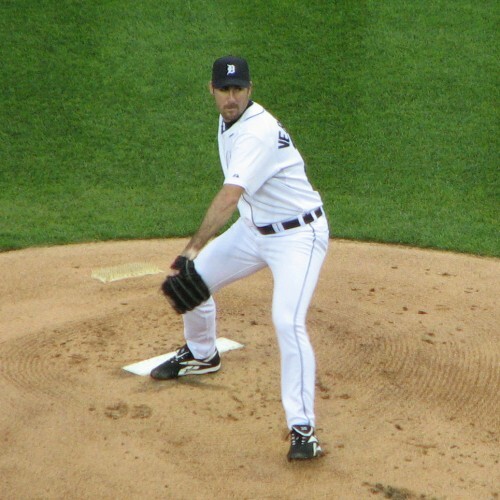 You’ll need to monitor these pitcher’s performance on a weekly basis to make sure they are still ownable. Prospects: These guys may have a big or little fantasy impact in 2013. It's hard to predict. One thing we know for sure is these guys are the best "fantasy relevant" pitching prospects in the MLB. For more on Peralta, Hernandez and Miller, read our prospect rankings pieces here and here. Waivers Tier: All these guys should start the year on the waiver wire. Some of them may prove valuable for a few weeks throughout the season, or they may even break out in a big way. You can ignore them for the purposes of your draft.